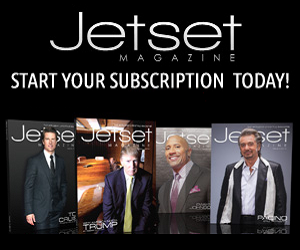 Here at Jetset, we strive to bring you nothing but the very best of the affluent lifestyle. 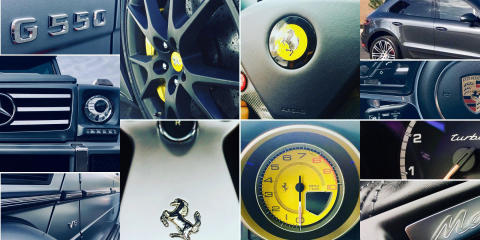 With so many beautiful places to visit/own property and so many unique experiences to choose from, it can be difficult to decide how to best spend what little free time you have in your hectic schedule as a successful entrepreneur. 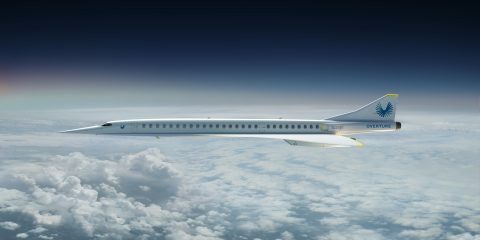 So after a recent visit to one particularly special exotic locale left us with an insatiable desire for more, we knew it was an obvious topic for our summer edition of Jetset Magazine. 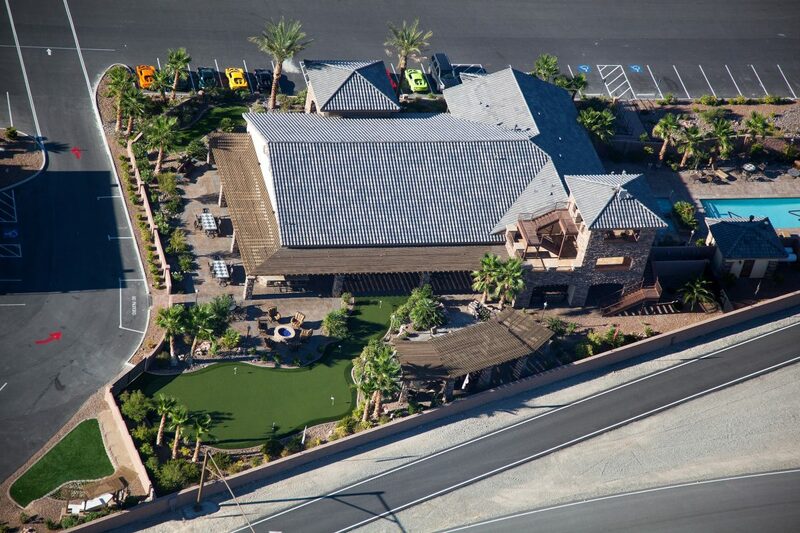 Imagine owning a home at a world-class racetrack. If you’re an adrenaline junkie such as myself, there is no greater dream. Now imagine that place was not just your run-of-the-mill racetrack, but the largest and most unique on earth. Is your blood pumping yet? 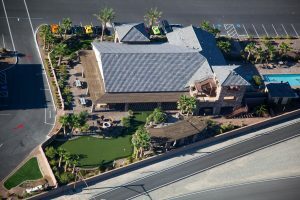 Well, it should, because from the very moment you enter the gates at Spring Mountain Motor Resort & Country Club, it is evident why the state-of-the-art facility has continued to gain notoriety as one of the absolute best private racing clubs in the world. 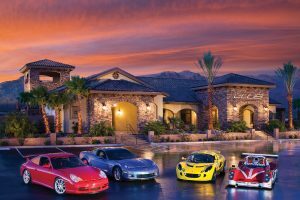 To say it is simply a performance paradise for the discerning racer or entry-level enthusiast only scratches the surface of all that is Spring Mountain. Hidden beneath the basic exterior of what you might expect from your stereotypical racetrack, this world-class motorsport resort/vacation/retirement home community offers something for everyone with a plethora of heart-pumping activities, luxury amenities, and innovative track offerings that distinguish it from all other racing locales. Gracefully situated on over 300 acres of cascading Nevada landscape — just a short drive from the excitement of thriving downtown Las Vegas — Spring Mountain offers a one-of-a-kind opportunity for those looking for the ultimate adrenaline rush. Proudly holding the record as the “longest track in North America” with an impressive 6.1 miles of combined road course, the racetrack offers more than 50 different configurations. 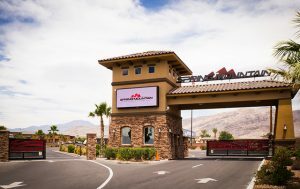 Fast corners, a variety of elevation changes, and long straights add to the thrill of racing through Spring Mountain’s famous track replicas including the Watkins Glen “Bus Stop” and Laguna Seca’s “Corkscrew” to name a few. 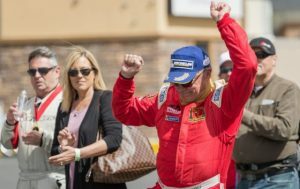 Future developments will add an additional 500 acres to the property and expand the track to a record-setting 15+ miles, thus surpassing the infamous Nürburgring as the world’s longest racetrack. 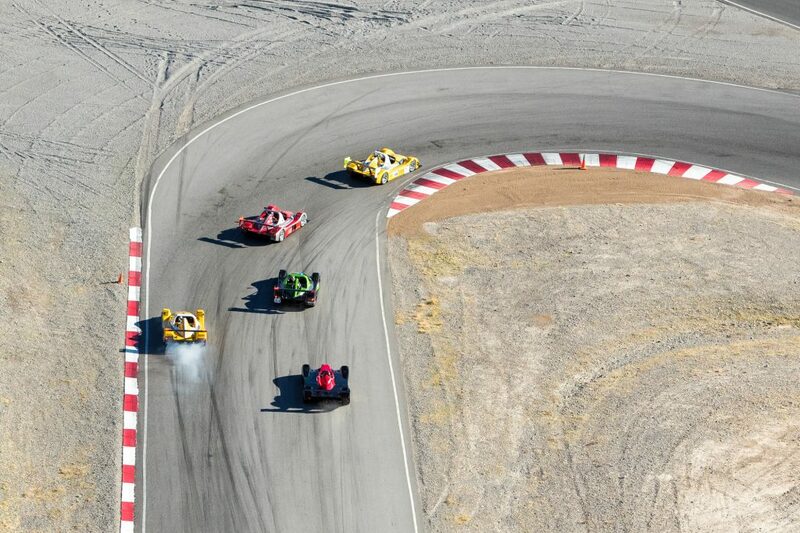 The challenging road course and its unprecedented variety of configurations make Spring Mountain the perfect place for racing aficionados young and old, novice to pro, and everything in between. 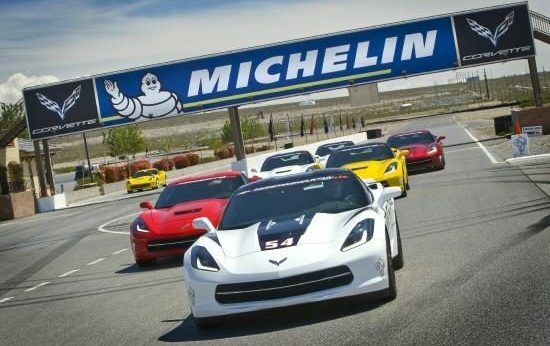 It’s the reason why one major manufacturer offers to send its customers to the Ron Fellows Performance Driving School to learn how to drive their new Corvette, and why the Cadillac V-Performance Academy is proud to call Spring Mountain home. 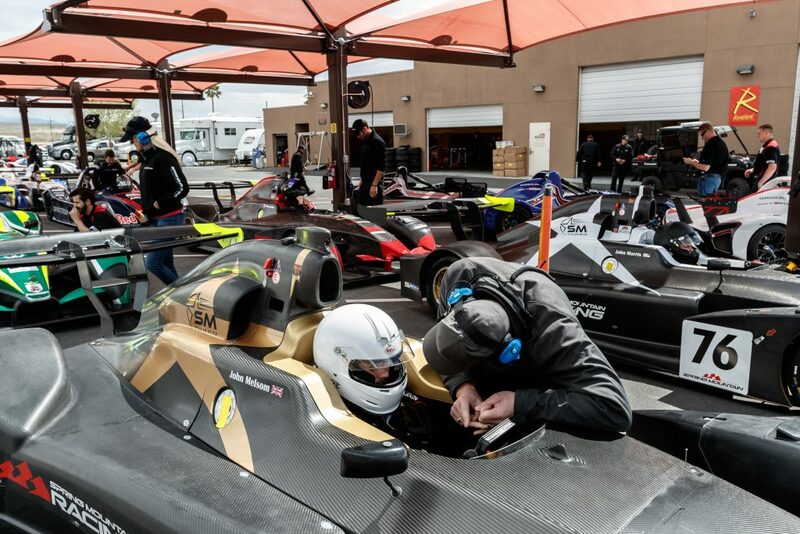 If you’re looking for an elevated dose of adrenaline and true racing experience, Spring Mountain’s also provides hands-on training in a variety of vehicles including one of today’s hottest (and one of my personal favorite) race cars, the Wolf GB08. 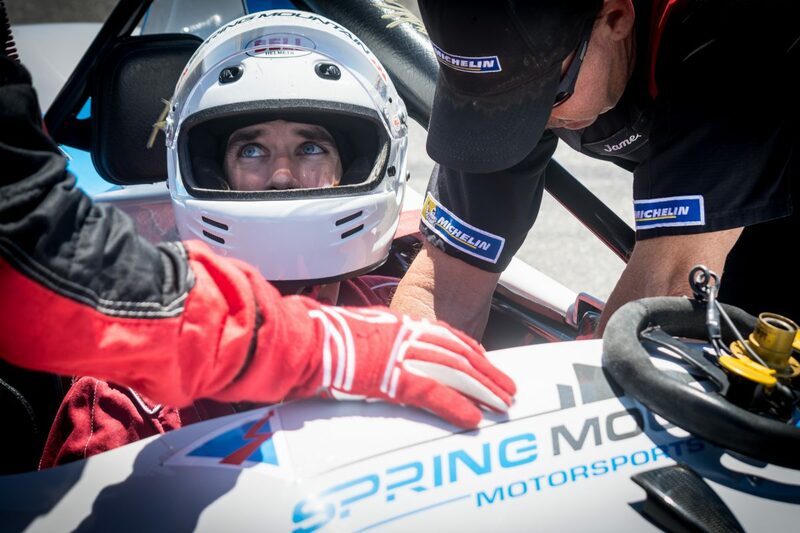 Expert instruction and hands-on training provide the perfect opportunity to take your passion for racing to the next level. 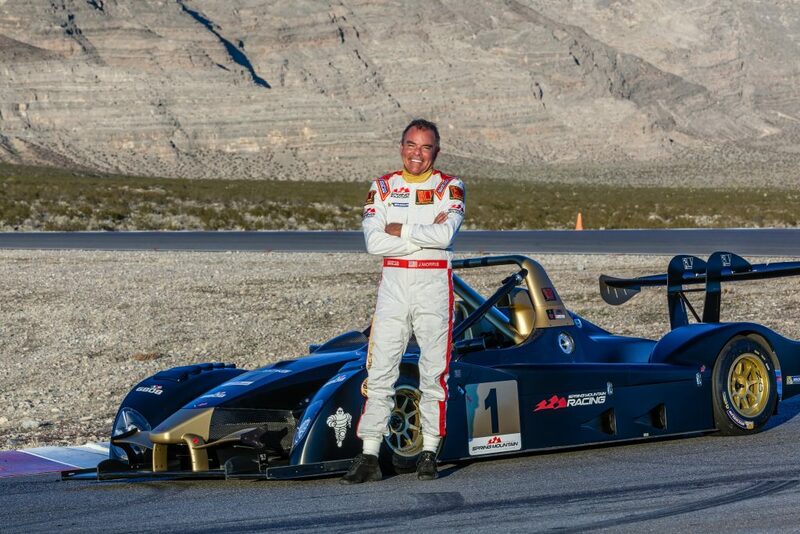 And as an exclusive dealer for the championship winning Italian Sport Prototype manufacturer, Spring Mountain sells a variety of Wolf models, including the record-setting GB08SM. Wolf developed this breathtaking race car directly in tandem with Spring Mountain and designed it specifically for the challenges often found at North American road courses. A natural progression for experienced racers, the Wolf GB08 provides what is perhaps one of the closest experiences to actually getting behind the wheel of an F1 car. 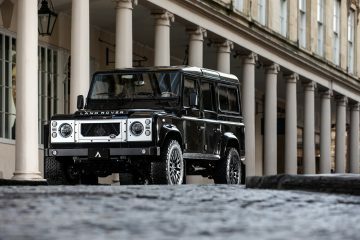 Unless you are an actual pro, the opportunity to drive in one of these exquisite machines is almost guaranteed to be the most fun you’ve ever had on a racetrack, thus increasing both your heart rate and unbridled passion for performance. Another unique element that helps distinguish Spring Mountain is the incredible selection of Radical race cars they have available. 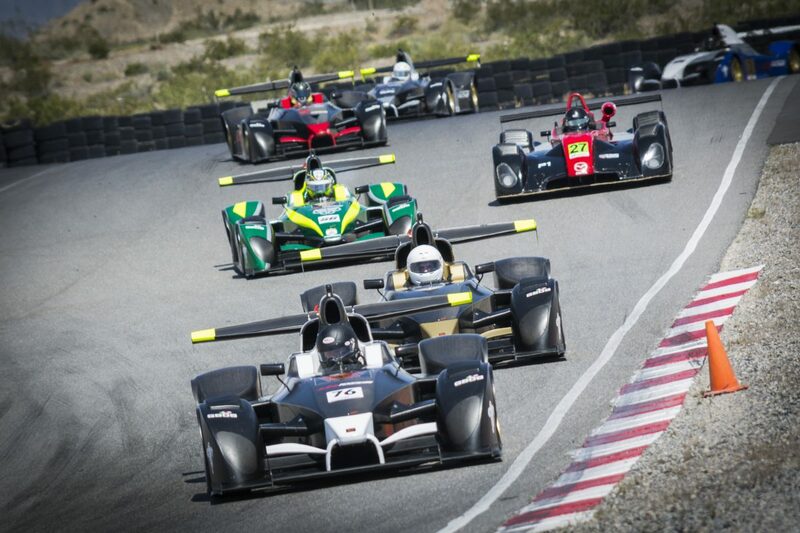 The open cockpit sports-racer class gives drivers the chance to feel what it’s like to take control of a true high-performance race car at breakneck speeds. 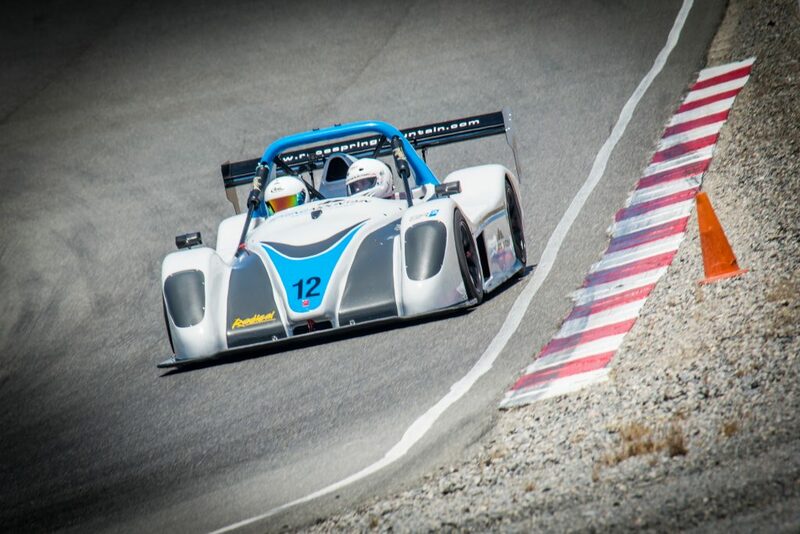 Also an authorized Radical dealer, with both the SR3 and high-powered SR8 models available, you can purchase your Wolf or Radical directly from Spring Mountain and gain access to their entire team of expert technicians who can keep your car in race-ready condition so all you need to do is Arrive and Drive. 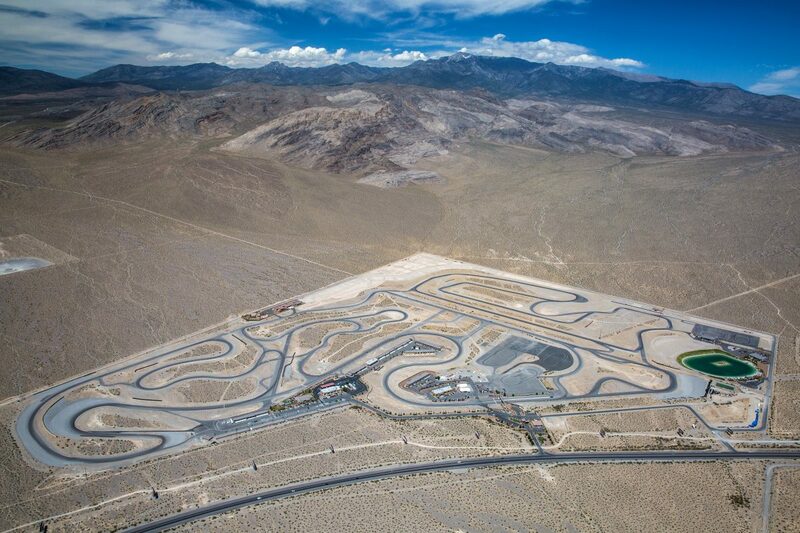 And yet high-speed racing is only one piece of the Spring Mountain puzzle, as the masterminds behind this state-of-the-art facility have spared no expense to create the absolute best possible destination for the demanding adventure enthusiast. 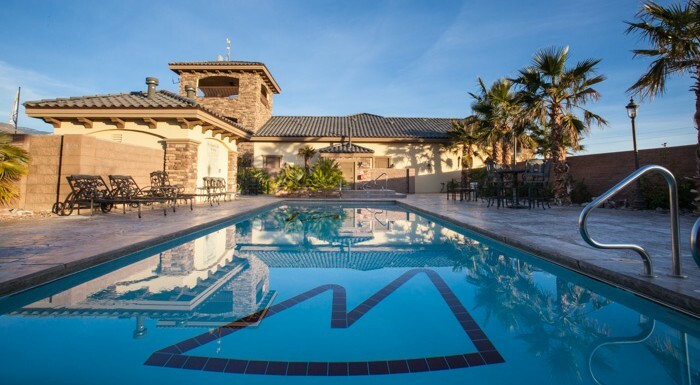 Activities for the entire family can be found on-site with regular sunshine and favorable conditions throughout the year making Spring Mountain a prime vacation spot for your next luxury getaway. 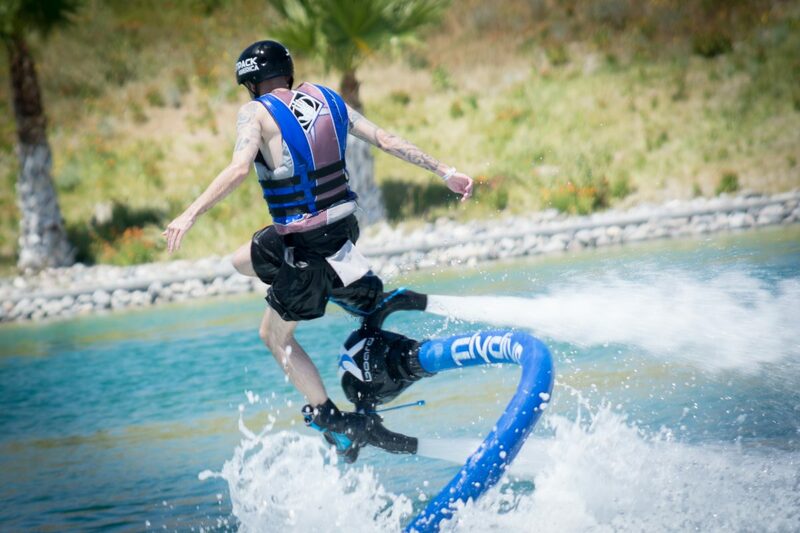 Whether you’re looking to take a dive into a new extreme sport like the Jetpack America experience available at Lake Spring Mountain’s 18 million-gallon freshwater reservoir, or you just want to spend the day getting some much-needed R&R from one of the property’s certified massage therapists, your exclusive membership at Club Spring Mountain grants you access to a vast array of five-star amenities and accommodations. From the Club’s luxury trackside condominiums and private garages to the immaculate, 8,000 square-foot clubhouse complete with swimming pool, racquetball court, fitness center, lockers, and so much more, it’s obvious why the track has quickly become the go-to “Arrive & Drive” facility in North America. 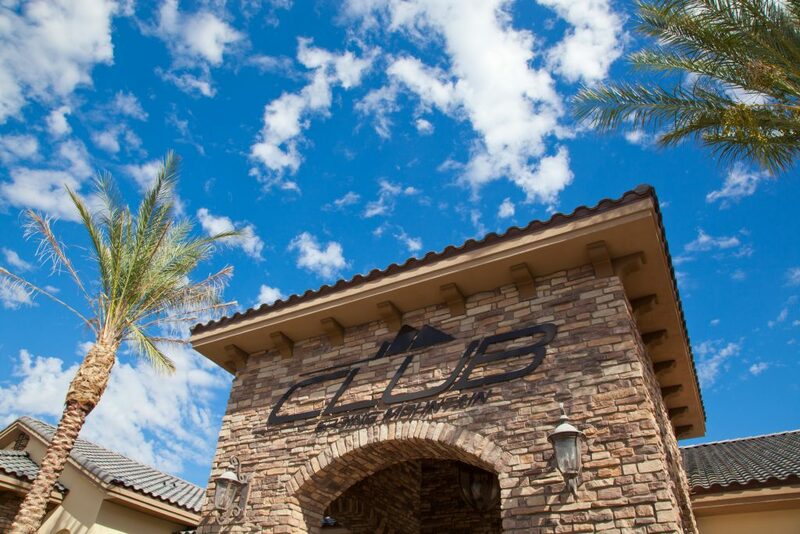 Becoming a member at Club Spring Mountain gives those fortunate enough to join an opportunity to experience the best of luxury living with everything you need to feel all the comforts of home. 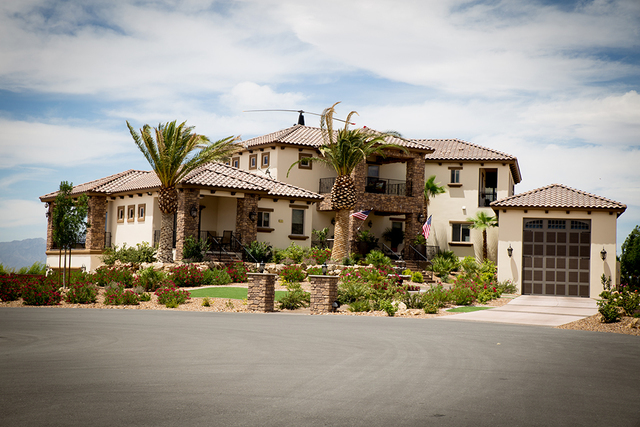 Furthermore, perhaps at the forefront of the brand’s incredible offerings are the host of real estate investment opportunities to be found at Spring Mountain Estates. New developments have begun to break ground and a handful of stunning residential homes are already completed. 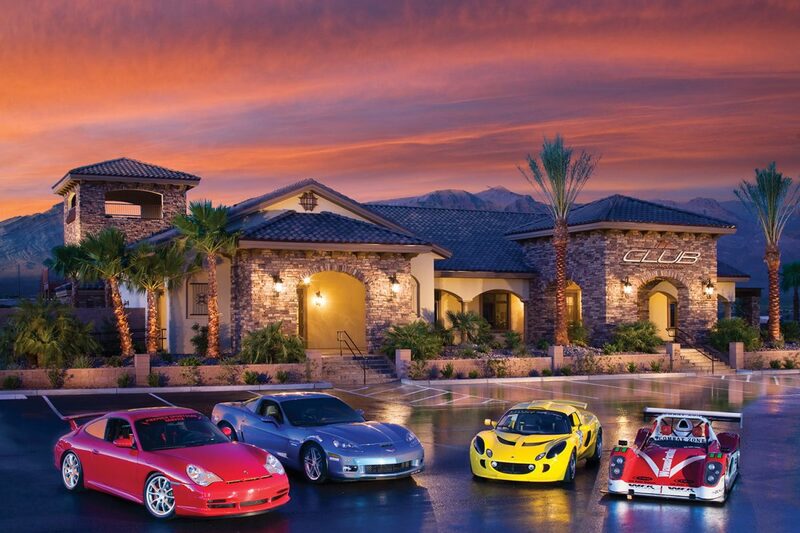 And while there’s no shortage of space at this cutting-edge community, we’re pretty sure it won’t take long to fill the remaining lots as die-hard racing fanatics line-up to build their dream homes at Spring Mountain Estates. 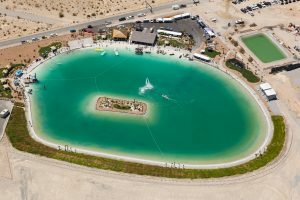 In summation, Spring Mountain Motor Resort & Country Club has certainly raised the bar on what it means to be an elite racing facility. 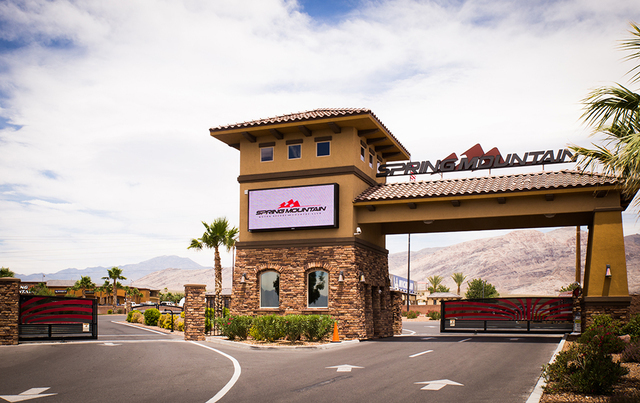 Having myself visited many of the world’s most esteemed racetracks and members-only clubs, there’s just nothing else that quite compares to spending a day (or two, or three) at Spring Mountain. 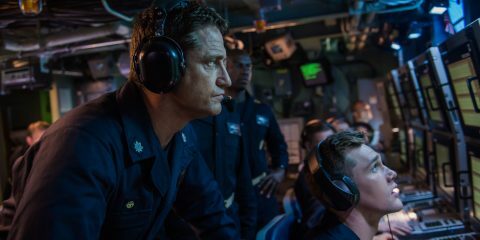 It’s a combination of their generous staff, extremely well-organized operations, and the extensive selection of activities that make this one incredibly unique opportunity you simply must experience for yourself. It’s the ultimate opportunity for the thrill-seeking adrenaline junkie with an unrivaled appetite for adventure.